WEG enclosed starters series is designed to meet the requirements and flexibility frequently demanded in industrial applications. Featuring components that meet IEC design standards and UL horsepower ratings, WEG enclosed starters are UL508A approved and CSA certified. This means your panels will fulfill the rigorous requirements of UL508A and will have the quality and performance as for all WEG products. 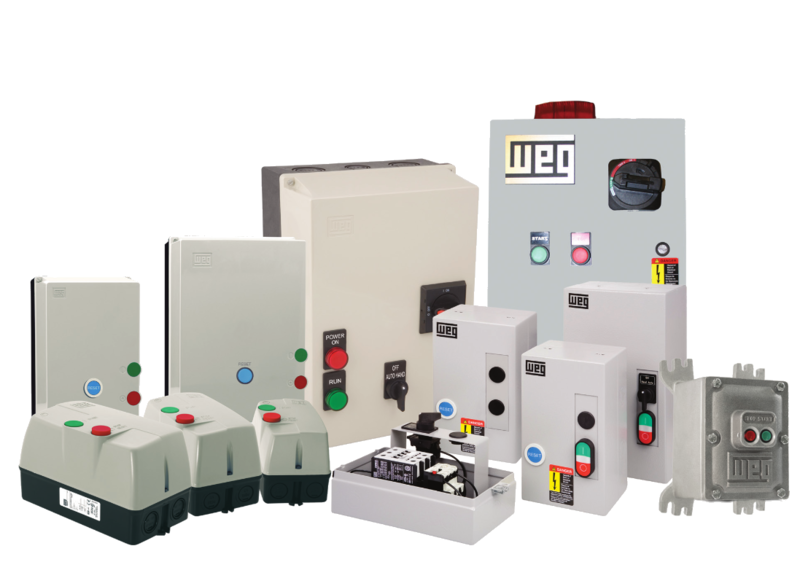 By having most of the processes in WEG facilities we can manufacture not only standard enclosed starters, but also any other custom panel your application may require.